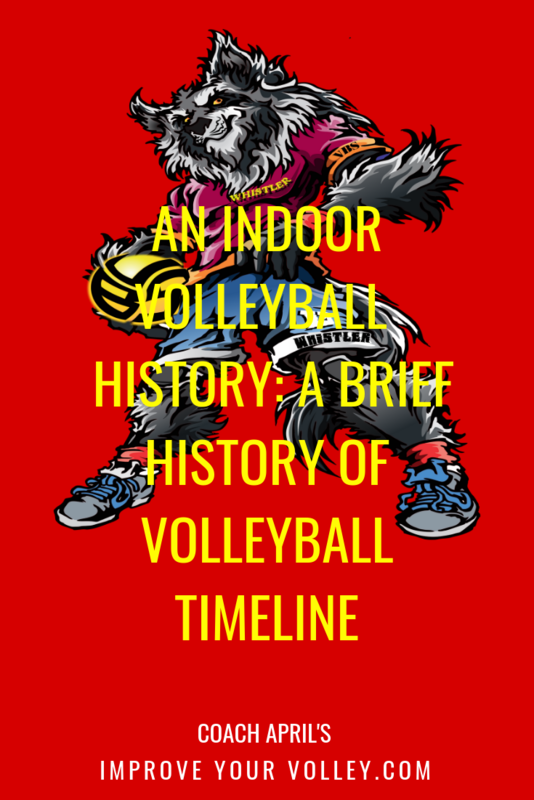 A summary of volleyball history facts about the growth and popularity of the game, details of the creation of International competition along with descriptions of how and when volleyball offenses and defensive elements were introduced and why. 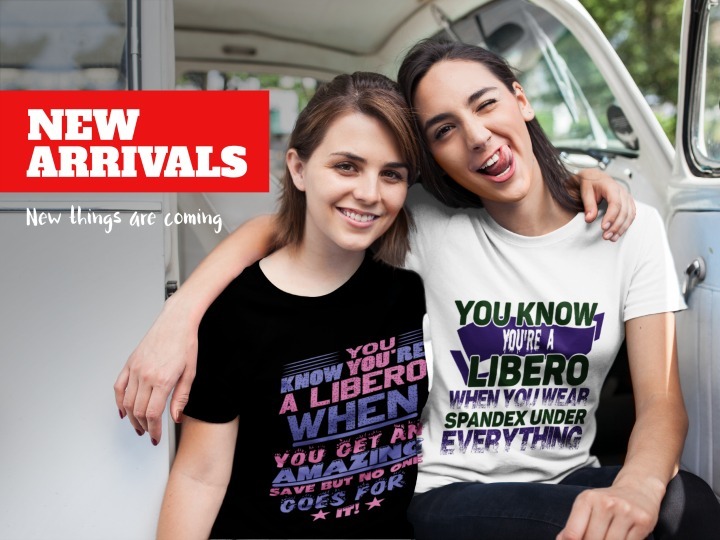 In US volleyball history, a series of events occurred that propelled the game into becoming the second most popular participation sport in the world, after soccer. Here's a description of those events. 1952: For the first time in volleyball competition, the FIVB allowed the first female volleyball player to participate in an FIVB tournament. In 1955, volleyball was included in the multi-sport competition which was open to all the countries in the Americas (North America, Central America and South America to be exact). This international competition was called the Pan American Games. Held every four years, the 1955 Pan American Games was only the second edition but approximately 2500 athletes representing 22 countries paraded in front of 100,000 spectators at the opening ceremonies in Mexico City, Mexico where the games were hosted. After beating Brazil in the final, the United States men's volleyball team earned the first gold medal ever awarded for volleyball in a Pan American Games competition. The United States women fell to the host Mexico in the championship game which earned them a runner up position and the first silver medal awarded for volleyball in a Pan American Games competition, ever. Two years later in 1957, the (IOC) International Olympic Committee designated volleyball as an Olympic team sport. Although volleyball was first introduced in the 1924 Olympics that were held in Paris as a demonstration sport, it wasn't seriously considered for inclusion until after the FIVB was formed and requested the IOC to include the sport of volleyball in the next Olympics. To better understand the sport and its popularity a special volleyball tournament was organized as a demonstration at the 53rd Congress of the International Olympic Committee in Bulgaria. The tournament was a huge success and the International Olympic Congress elected to include volleyball as an Olympic sport scheduling its debut for the 1964 Olympics where both men's and women's volleyball teams would participate. In 1959, the International University Sports Federation (FISU) organized the first edition of the World University Games which were held in Torino, Italy. The World University Games or World Student Games as they are also called is an international multi-sport competition organized like the Olympics but open only for university or college student athletes around the world that qualify. Volleyball was included as one of the eight athletic competitions held among participating countries in the 1959 edition. Starting at the beginning of the 1960's new volleyball techniques like the dink, the bump, blocking across the net, and defensive diving and rolling were added to the game. 1964: Volleyball was introduced to the Olympic Games in Tokyo. In this first edition the traditional round robin system of tournament play was adopted where all the volleyball teams played each other then were ranked by wins, set average, and point average. Later, Olympic volleyball competition was organized so that the first round of competition was round robin system among teams organized into groups. 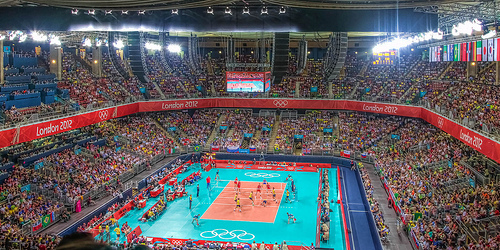 Then another single elimination round was introduced where the latest eight teams competed in the quarterfinals, the winners of these matches competed in the semifinals and the last two volleyball teams standing met in the Olympic volleyball finals. Speaking of finals for the men's volleyball competition the Russians then called the Soviet Union won the gold, Japan the silver Czechoslovakia the bronze. For the Olympic women's volleyball competition, Japan won the first Olympic gold medal awarded in the women's volleyball competition. This video of classic Olympic highlights provides an example of the brief historical development of volleyball as the Japanese women's volleyball team add to the country's medal count with the gold medal in the tournament as the home nation at the Tokyo 1964 Olympic Games. The American women finished 1 - 4 with their only victory coming against the Koreans. 1969: The Executive Committee of the NCAA proposed the addition of volleyball to its program. 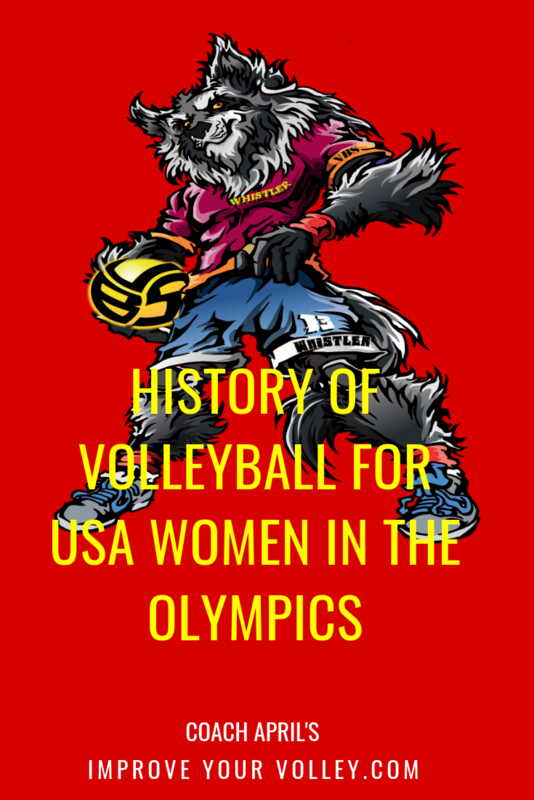 1975: The U.S. National Women's women's volleyball team began training year-round in Pasadena, Texas then moved moved to Colorado Springs in 1979. They subsequently moved to Coto de Caza and Fountain Valley, CA in 1980 to train for the upcoming Russian and Los Angeles Olympics before moving to San Diego, CA in 1985. 1977: the U.S. National Men's team began a year-round training regime in Dayton, Ohio which subsequently moved to San Diego, CA in 1981 where they stayed for 20 years before moving to Anaheim, California. Check out how the U.S. National Volleyball Teams pursued their dreams and successes in the 1980s with this USA Volleyball promotion video edited in 1985. *Source from USA Volleyball Jim Coleman Library. Both the Women and Men's National volleyball teams now train in Anaheim, California. Las Vegas club teams that participate in the Southern California Volleyball Association (SCVA), like the Volleycats Elite volleyball club travel to compete in the same facility where the USA Olympic teams train in Anaheim, called the American Sports Center. 1980: Celebrated as one of the best American women's volleyball teams ever, these players were members of the US sports delegation that boycotted the 1980 Moscow Olympics. 1984: The '84 Olympics were highly anticipated by American athletes who suffered the frustration of having to boycott the 1980 Olympics held in Moscow. The U.S. had their best showing in an Olympic volleyball competition ever with the women winning the silver and the men winning the gold. Karch Kiraly gets emotional when explaining the 1984 Los Angeles Olympic Gold Medal match experience. 1988: The U.S. men repeated their Olympic volleyball dominance in the Seoul, Korea Olympics and repeated their performance to win back-to-back gold medals. 1990: The World League, an international Men's professional indoor volleyball tournament is a marquis event played each year among the world's top 16 Men's teams was created and organized by the FIVB. 1995: Happy Birthday To Volleyball For Turning 100 years old! 2008: At the Beijing Olympics despite an unfortunate incident where the American Men's olympic volleyball coach Hugh McCutcheon's father- in-law was killed before the start of the volleyball competition, the US men's volleyball team won a gold medal while the women reached the finals but lost to Brazil which earned them a silver medal tying the best finish ever for an American women's volleyball team in the Olympics. 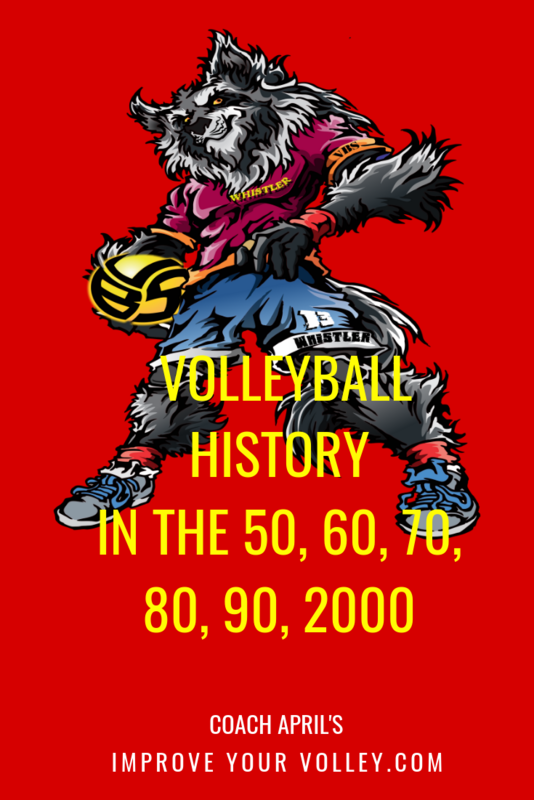 Learn more about Volleyball History.